A friend sent me a photo of an icon he recently bought. 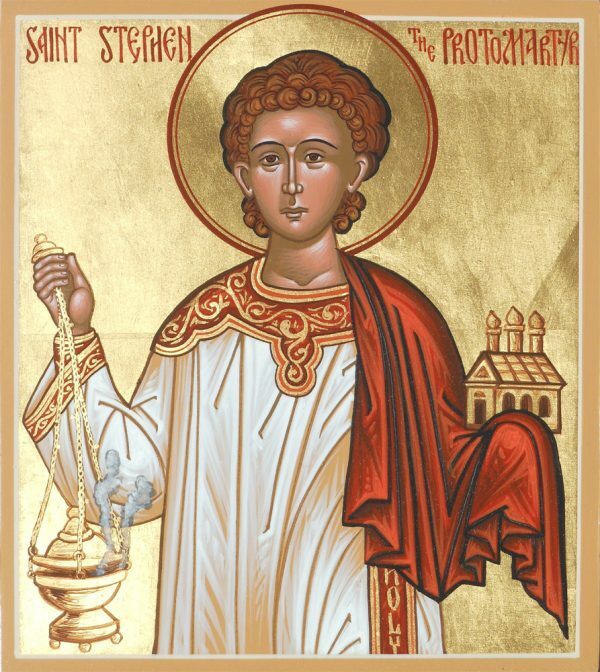 It was an icon of St. Stephen, an early deacon in the Church. I recognized some of the attributes that marked him out as a deacon, but not all of them. What was that strange church he was holding? Only diaconal saints hold it, so what does it have to do with being a deacon? We automatically recognize various saints as deacons by the way they are dressed. They wear the sticharion: a tunic that covers the whole body, going down to the ankles. 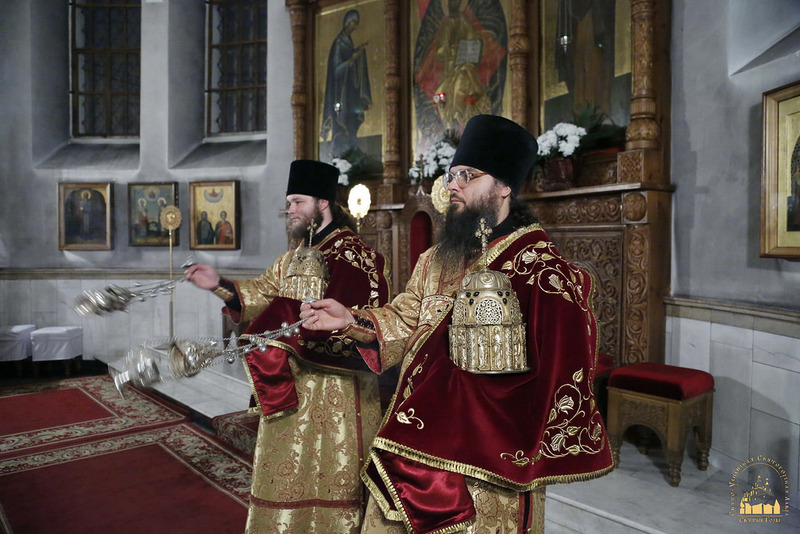 They wear the orarion: a thin strip of cloth that hangs over the deacon’s left shoulder and is usually draped over his forearm. They also wear the cuffs that go around their wrists. Deacons are also very recognizable in icons because they usually carry the censer. Generally speaking, priests are called to pray at the services while deacons are called to perform the physical actions of the services, including the censing. But, in many icons that depict deacons, there are usually a few items that most parish deacons have never used: such as a veil over their left arm and a small little church or box. What are these items? 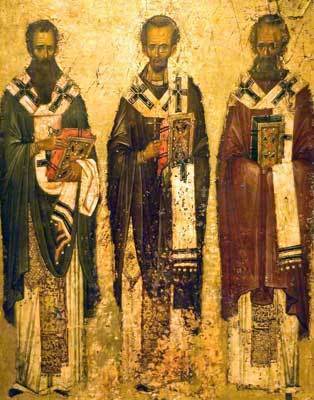 Why do deacons carry them in icons and what do they mean? Well, I did some research and here’s what I found. The small church (or sometimes, it’s a simple box) is called a Zion or Jerusalem. While some people have postulated that it is an incense box, a reliquary, or a tabernacle (to hold either prosphora or the Holy Gifts) it seems that none of these are correct. Historically, deacons were tasked with caring for the physical needs of the community, especially the sick, the widowed, the poor, the orphaned, or the imprisoned. It seems the Zion was a part of this ministry; it was originally a collection box. 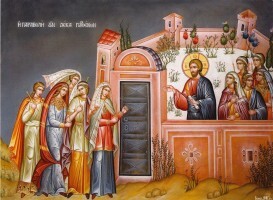 The deacon would collect alms so that they could fulfill their ministry of helping others. The veil, which looks a bit like the aer that covers the gifts on the altar, or a small phelonian, is probably there to prevent the deacon from directly touching the Zion. In ancient times, holy items weren’t handled directly. Instead, clergy would use their vestments to hold such things. This is why, in some icons, bishops don’t hold the gospel books directly. Think of it as an ancient form of gloves. Zions were probably used mostly in cathedral churches, which were located in larger cities that had many more people in need. Over time, however, it seems that Zions fell out of use. But, in some very traditional settings, such as on Mt. Athos and in Moscow, you can still see them used. No, I’m not calling for a revival of the Zion as a parish liturgical item, but I am calling for us to revive, or live out, the ministry that the Zion represents. 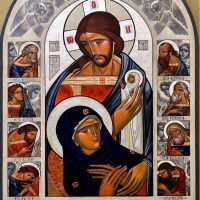 We saw how the various attributes in an icon are like a written language, telling us about the person and/or their role in the Church. The censer tells us about the deacon’s liturgical role. The Zion, on the other hand, tells us about the deacon’s ministry of compassion, a participation in the justice and mercy of God in the here and now. Though it was the deacon, as an image of Christ, who formally looked after the less fortunate in society, we are all called to imitate our Lord and participate in this ministry. Who in your world is in need of Christ’s compassion? How will you become a “deacon in Christ” for them?